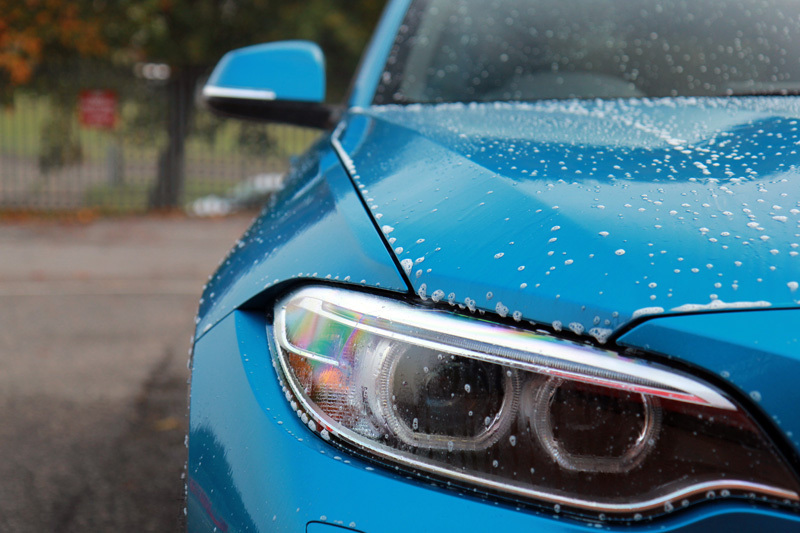 Home - BMW M2 Coupe – Ready For The Weekend? It Is Now! The BMW M2 Coupé successfully takes the classic M car features and delivers them all in a small car bundle. But make no mistake, being smaller in stature doesn’t mean it’s any less fun! Rear-wheel drive, sports suspension and an M TwinPower Turbo straight six-cylinder engine throws out 370hp with startling force. Air flow is optimised by the front and rear aprons, ensuring aerodynamics are balanced and effective. 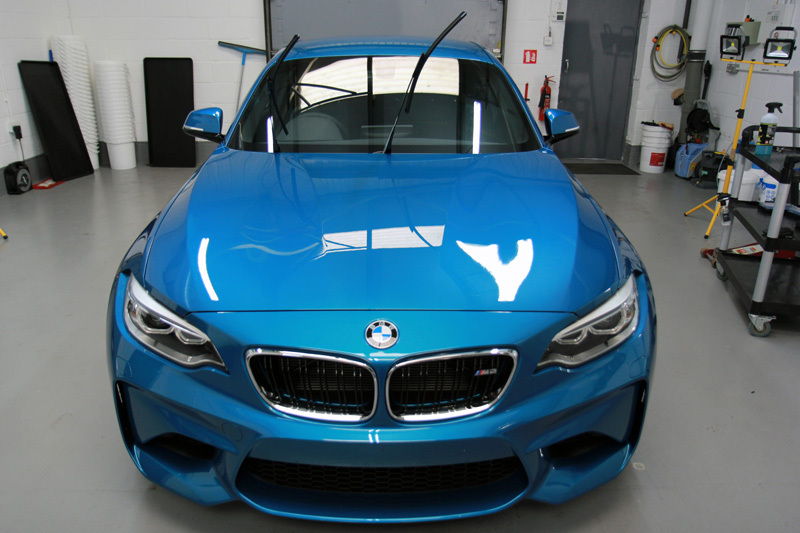 Whilst the top speed is electronically limited to 155mph, the delivery of 0-62mph in around 4.5 seconds guarantees the M2 will put a smile on your face and a thrill in the pit of your stomach! 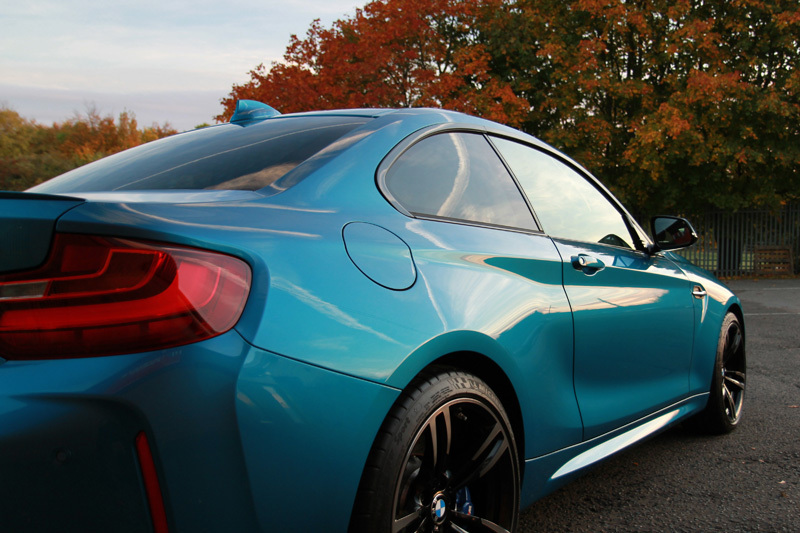 It’s athletic, with muscular lines that give the M2 coupe significant road presence. As the bard once wrote: “though she be but little, she is fierce!” Shakespeare’s Helena might have been referring to the M2 coupe! 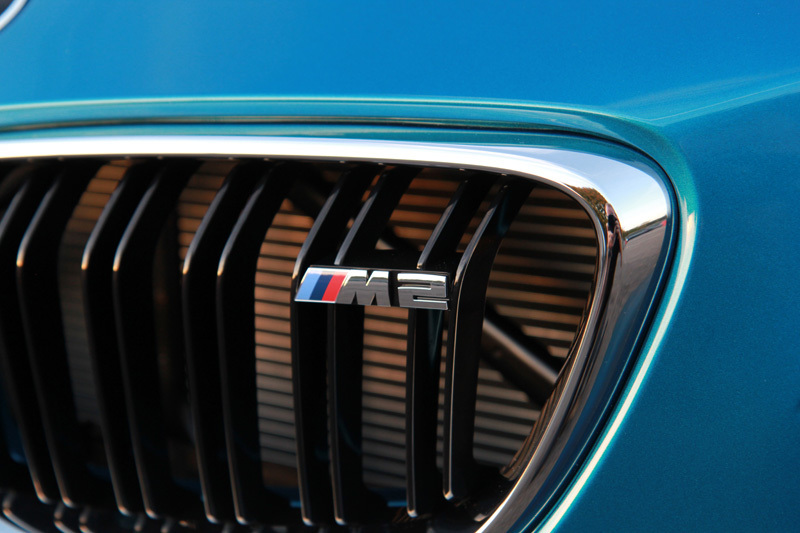 Without question, the M2 has been designed to not only be driven but played with and thoroughly enjoyed. With winter approaching, opportunities to really open it up and let it have its fun may be more limited, it still requires protection from the freezing temperatures and harsh conditions associated with winter roads. 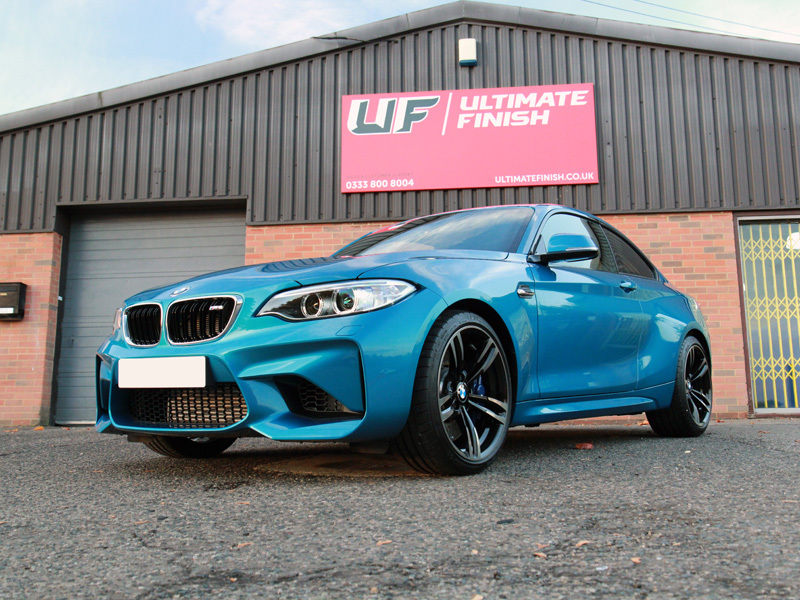 As a result, the owner elected to drive the M2 directly to UF’s Brands Hatch Detailing Studio for a New Car and Alloy Wheel protection treatments. Before a protective coating can be applied, it is first necessary to ensure all traces of contamination are removed otherwise these become sealed beneath. To allow for thorough cleaning, the number plates were removed. These can act as natural traps for road grime and dirt, so removing them means all traces can be eliminated and the area beneath will also receive protection. The first stage was to treat the M2 for iron contamination, typically derived from brake pads shredding or collected during transport from the originating factory to the dealership – part of which usually occurs via rail. Fireball Iron Burn was sprayed onto the wheels and bodywork to ensure any particles that had already bonded to the lacquer were treated. Iron Burn shrinks the particles and causes them to break their bond with the substrate. These can then be easily and safely rinsed away. Diesel splatters and greasy road grime were removed using Bilt-Hamber Surfex HD. Sprayed on using a Kwazar Orion Super Pro+ Pump Sprayer, Surfex HD acts on oily deposits, breaking them down so they can be rinsed away without leaving any residue. After rinsing, the M2 was pre-cleaned using Ultimate Snow Foam, a non-contact foaming pre-wash that clings even to vertical surfaces. The bubbles lift larger particles of dirt and grit away from the panels and encapsulate them within the foam. 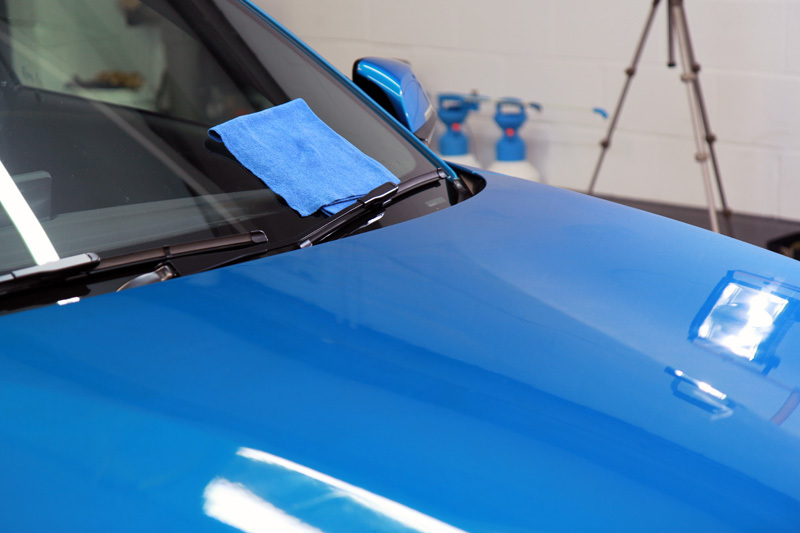 These can then be rinsed away before a wash mitt comes into contact with the paintwork, thus protecting against wash-induced swirls brought about by those particles being dragged back and forth during the main wash. Ultimate Snow Foam was rinsed away using a Kranzle 1152 TST Pressure Washer, ensuring all debris was removed from the underside of the wheel arches. As wheels are typically the dirtiest, most contaminated components, these were then cleaned with the aid of Wheel Woolies and a dedicated UF Wheel Bucket. Wheel Woolies are available with different sizes of heads, the better to fit between the intricate double spoke design of the 19 inch M light-alloy wheels. The M2 was then washed using the Two Bucket Method, an Ulti-Mitt Double Sided Merino Wash Mitt and Nanolex Pure Shampoo. After the suds were rinsed away, an Aqua Gleam De-ionising Water Filter was attached in-line with the hose to give the car a final, pure water rinse. 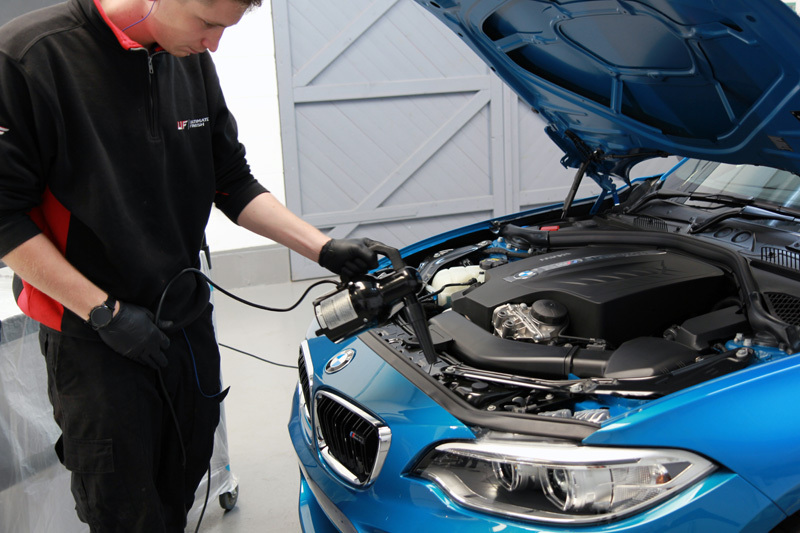 Once the car had been dried using ultra-soft microfibre drying towels, the engine bay, around the grille and all other areas where water normally becomes trapped were checked for excess water using an air blower. This prevents any potential issues with hidden water droplets escaping and interfering with the sealant whilst it’s being applied. The paintwork was inspected under high-intensity lighting to check for any signs of swirls, scratches or other blemishes. Although it’s a brand new car, it’s still important to check for imperfections as experience has shown us that not all new cars are delivered in pristine condition! 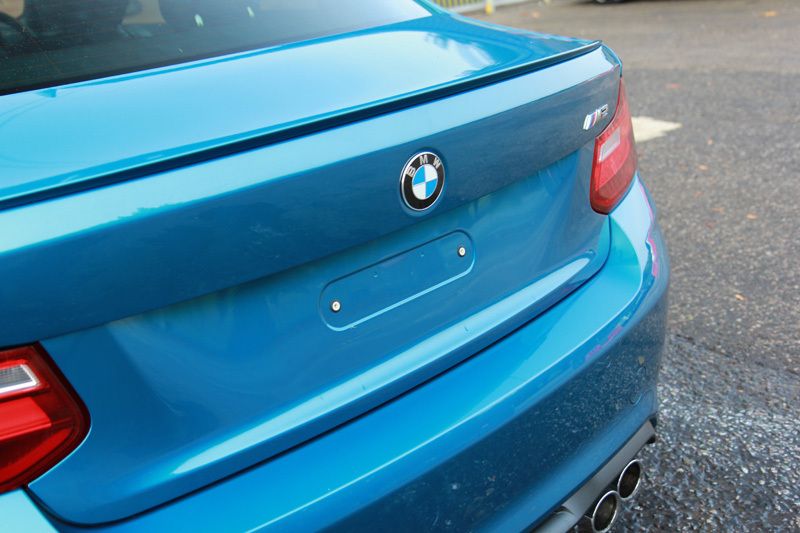 However, the scratch-resistant BMW paintwork had lived up to expectations and the Long Beach Blue colour showed no signs of damage. All that was required was a light refining polish by hand to ensure maximum gloss levels prior to sealing. – Matt Back, UF Detailing Studio. To protect the paintwork, Kamikaze Collection Miyabi Coat was applied. In the Japanese language, ‘miyabe’ represents an aesthetic idea of beauty, elegance and refinement. Miyabi’s formulation means the molecules are smaller than those found in many nano-sealants, allowing the coating to better repel water, dirt and contamination and avoiding water-spotting issues. Miyabi Coat enriches and enhances the paint colour whilst providing an extreme level of shine. To protect the wheels, Gtechniq C5 Alloy Wheel Armour was applied. 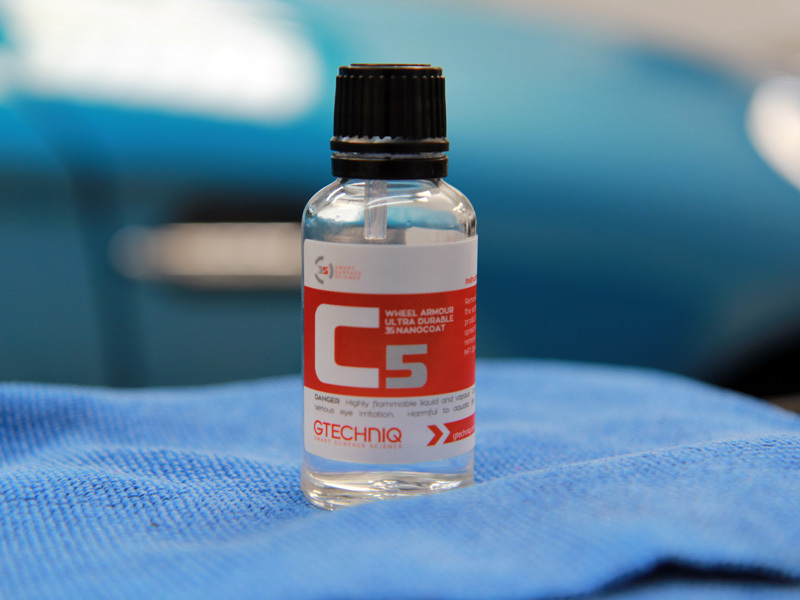 C5’s fine surface rheology means its interaction with the surface of the wheel provides exceptional protection from road grime and winter chemicals, whilst its nanotechnology-based formulation provides outstanding durability that is resistant to very high and very low temperatures. One layer can last up to two years and treated surfaces are able to repel dirt, water, oils and inhibits the build-up of brake dust too. Surfaces are easier to keep clean, reducing or even completely eliminating the requirement for highly acidic or highly alkaline wheel cleaners. 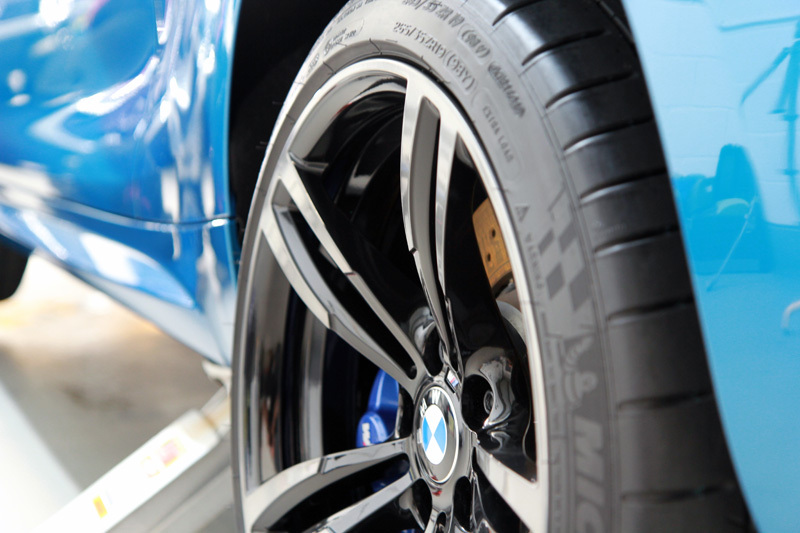 As a finishing touch, the tyres were dressed with Gtechniq T2 Tyre Dressing to leave a natural, satin sheen. Now, no matter what the winter brings, this M2 is ready for anything!